Loot N’ Booty BBQ Everything Rub, is a true all-purpose seasoning that has seen proven success on the BBQ circuit. 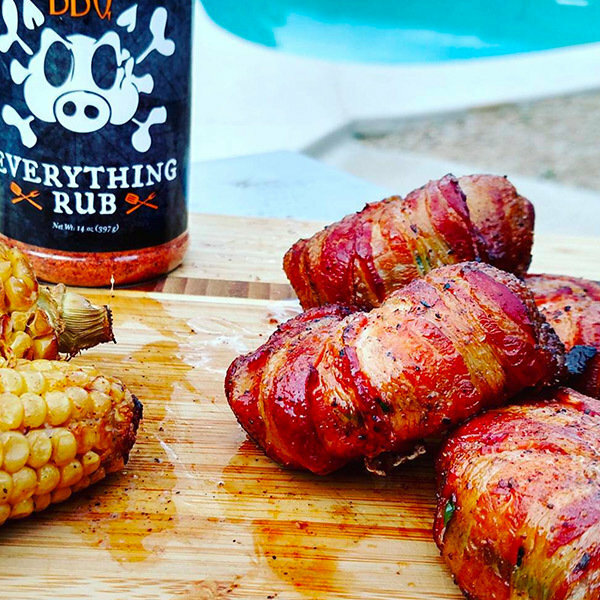 It is dubbed Everything Rub for its ability to serve just as well on pork and other competition meats as it does on “everything” from burgers to guacamole, potato salad to even watermelon! This rub is used around the world to win multiple awards and was used to win first place pork at The 2016 Jack Daniel’s World Invitational BBQ Competition. It works on Everything!